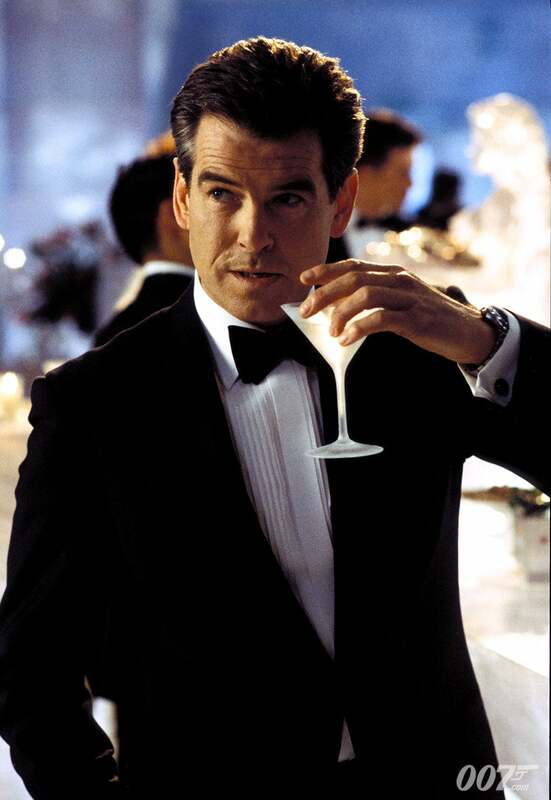 DIE ANOTHER DAY (2002) is a landmark James Bond film. Not only was it the 20th film in the series, it also marked the 40th anniversary of the very first cinematic 007 adventure DR. NO (1962). For the first Bond film of the new millennium, Producers Michael G. Wilson and Barbara Broccoli wanted to create an adventure similar to the grand scale of YOU ONLY LIVE TWICE (1967). 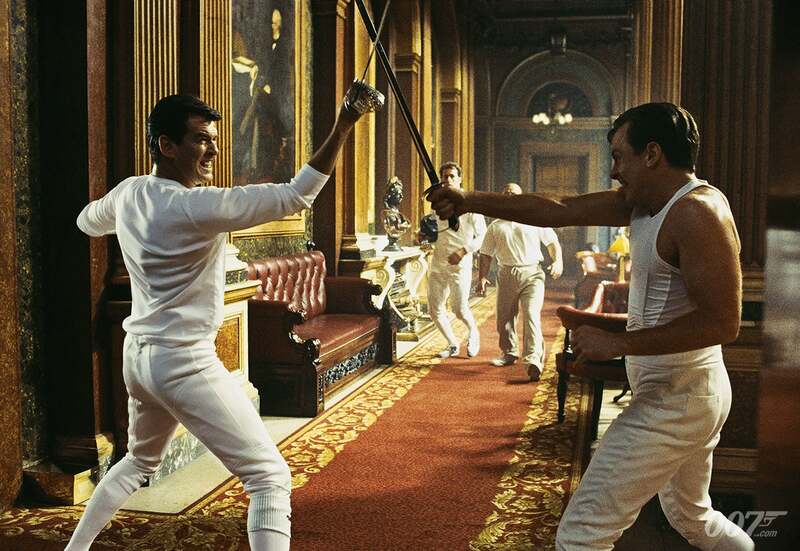 Screenwriters Neal Purvis and Robert Wade suggested the story could cleave close to Ian Fleming’s 1955 novel MOONRAKER which centred on a villain who transforms his identity, becomes a vaunted industrialist and plans to use a space weapon in a crazed act of vengeance. The finished story sees Bond (Pierce Brosnan) captured in North Korea after killing Colonel Moon (Will Yun Lee), who has been trading weapons for African blood diamonds. Bond is imprisoned for 14 months and released in exchange for Moon’s henchman Zao (Rick Yune). Disavowed by MI6, Bond follows Zao to Cuba — Zao is having his appearance altered by DNA therapy — and joins forces with NSA agent Jinx Johnson (Halle Berry). The pair follow the diamonds’ trail to billionaire Gustav Graves (Toby Stephens) who unveils Icarus, a powerful laser satellite, in Iceland. Bond and Jinx discover that Graves is actually Colonel Moon — he didn’t die in Korea and has used gene therapy to alter his appearance. Moon’s plan is to employ Icarus to help North Korea invade the South. Bond and Jinx stow away on Moon’s cargo plane and kill him thus preventing the attack. To direct, Wilson and Broccoli selected New Zealander Lee Tamahori, who had impressed with his film ONCE WERE WARRIORS. As well as stage actor Toby Stephens and Halle Berry, the Producers cast newcomer Rosamund Pike as duplicitous MI6 agent Miranda Frost. On Christmas Day 2001, a small unit started shooting off Maui, Hawaii, where Laird Hamilton and his surfing team rode some of the world’s largest waves for the opening scene. The scene set the benchmark for the scope of action sequences that followed. The initial idea for the ending — set in an indoor Japanese beach — was upgraded to a fight in an out-of-control Antonov plane, the largest aircraft in the world. 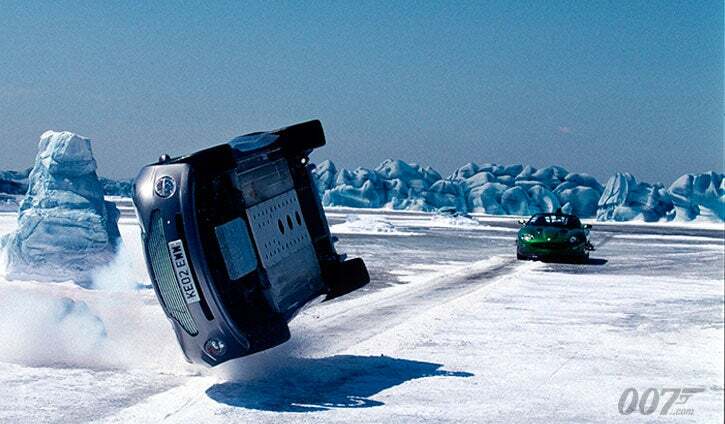 Tamahori also expanded a car chase in Iceland, starting on a frozen lake then moving into Graves’ melting Ice Palace, a magnificent set designed by Production Designer Peter Lamont at Pinewood Studios. During the shoot, Halle Berry won the Best Actress Academy Award for MONSTER’S BALL. When she returned to the production after the ceremony, she shot Jinx’s dramatic emergence from the sea in an orange bikini deliberately echoing Ursula Andress’ iconic first appearance in DR. NO. The scene was shot in Spain (doubling for Havana, Cuba) during a cold but clear day after five days of heavy rain. The nod to Honey Ryder’s introduction was one of a number of playful homages to 007 history to mark the 40th anniversary. While some were obvious to most Bond fans — Graves arrives at Buckingham Palace via Union Jack parachute evoking THE SPY WHO LOVED ME (1977), Jinx is tortured by lasers suggesting GOLDFINGER (1964) — others were more difficult to spot: the Hong Kong hotel is called The Rubyeon Royale paying sly tribute to EON’s ruby anniversary and a Jet Pack is in the background of Q (John Cleese)’s Lab reminiscent of THUNDERBALL (1965). Composer David Arnold returned to score his third Bond film. Madonna wrote and performed the title song but also played Verity, a fencing instructor who proves a worthy foil to Bond. Madonna became the first title-song performer to play a role in a Bond film. On November 18 2002, DIE ANOTHER DAY enjoyed its world premiere at London’s Royal Albert Hall in the presence of Her Majesty Queen Elizabeth II. The 3,000 strong audience also had the privilege of joining former James Bond actors George Lazenby, Sir Roger Moore and Timothy Dalton to mark the 40th anniversary. The film broke box office records for a Bond film and marked the end of an era as was to be Pierce Brosnan’s last outing as 007.